Wheel Pad, winner of World Architecture News 2016 Small Spaces Award, is a 200 sq.ft. accessible bedroom and bathroom that can be attached to an existing home. 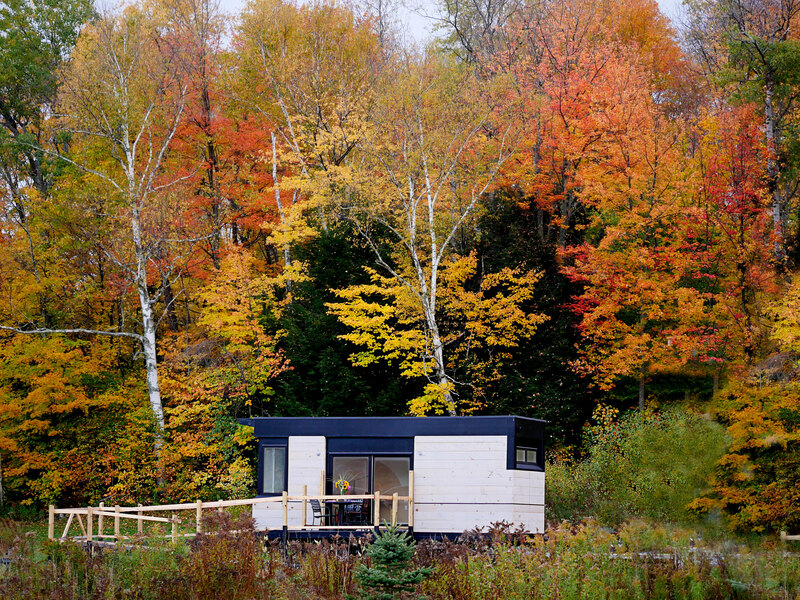 It is an affordable, eco-friendly, non-toxic, immediately available living space offering privacy, and supporting the independence of individuals with mobility issues. Our goal is to respectfully and supportively provide transitional housing for Veterans and others, newly needing accessible living accommodations in a socially conscious and environmentally friendly way as economically as possible. We are passionate about our product and feel it fits a crucial need that is currently unmet. Our long term goal of an employee owned manufacturing facility in southern Vermont, will create high-quality jobs, attracting employees who share our values and strengthen our community. This is one of the most exciting new designs I have seen and photographed in a very long time. Please read and forward this idea to everyone. Take a look inside this small space. Find out more about Wheel Pad on the website and Facebook. Check out the Wheel Pad on WCAX. 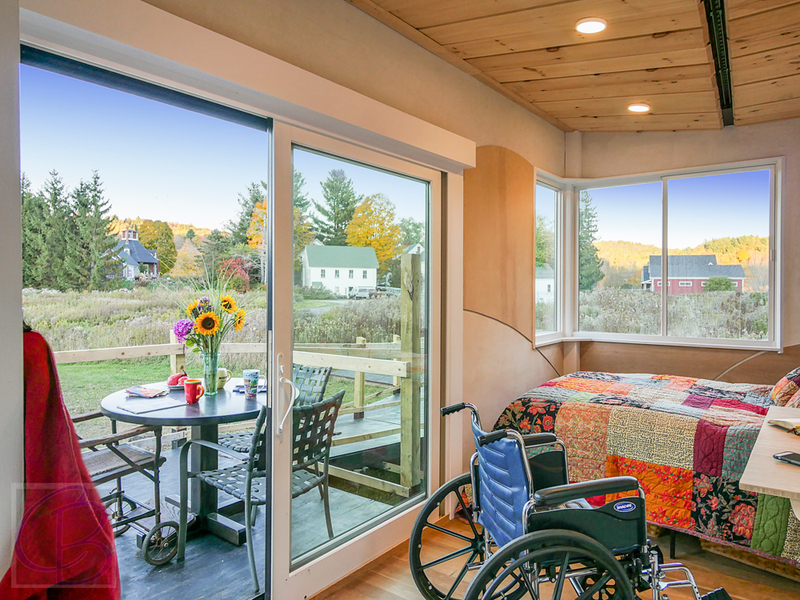 A Wilmington architecture company is getting international recognition for its latest creation -- Made in Vermont living space that is making life easier for those adapting to debilitating injuries. It's only 200 square feet, but the purpose it serves is immeasurable. "Making home accessible to people who are recovering or working towards a long term situation, is truly wonderful," said Megan Russell, a home health care provider. When someone just gets out of the hospital, or rehab, after suffering a debilitating injury, it can be difficult to immediately find a place to live that is suitable for their needs. That's where Wheel Pad comes in. "What if there was this accessible bedroom and bathroom that you could attach to your mom's house or your dad's house or your cousin's house?" said Julie Lineberger. Lineberger and her husband, Joseph Cincotta, co-own LineSync Architecture. They came up with the design several years ago. "Joseph has 500 million ideas a year and I said, I'm going to make this one happen." Read the complete article and watch the video, click here.